Enhance Energy's Alberta Carbon Trunk Line project will capture CO2 and transport it through a 240km pipeline to the Clive reservoir in central Alberta. Credit: Enhance Energy Inc. Initial source of CO2 for ACTL will be Agrium's fertiliser plant. Credit: Enhance Energy Inc.
NWR Partnership will supply CO2 for the ACTL project from its Sturgeon refinery. Credit: North West Redwater Partnership. The Alberta Carbon Trunk Line (ACTL) is a 240km-long, 16in-diameter pipeline that is currently being constructed in Alberta, Canada. It is set to be the biggest carbon capture and storage (CCS) project in the world and marks the first CSS project to be situated in Alberta. Alberta-based oil and gas company Enhance Energy is developing the project in alliance with Wolf Carbon Solutions, an affiliate of Wolf Midstream, with an estimated $1.2bn investment. The project will gather carbon dioxide (CO2) from industrial emitters in the Alberta Industrial Heartland in Western Canada and subsequently convey it to reservoirs across Central and Southern Alberta. 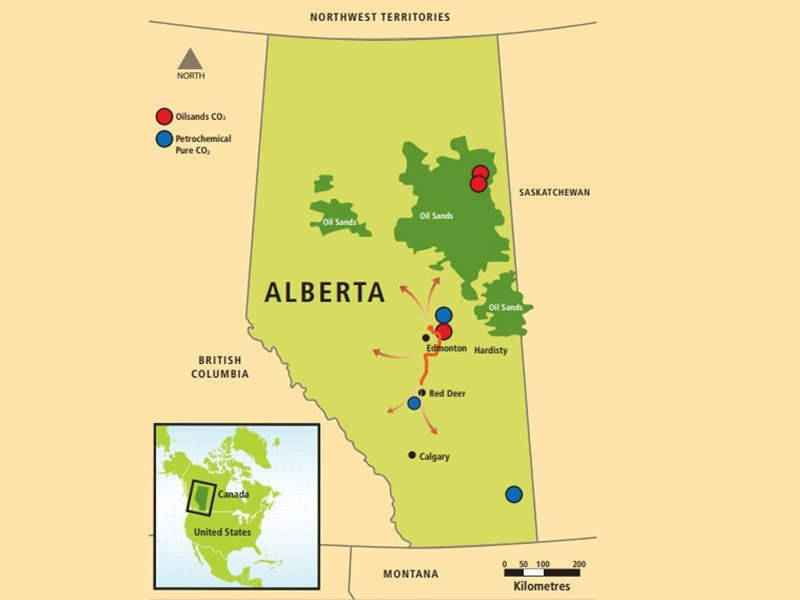 Alberta’s ACTL forms part of the province’s large-scale CO2 enhanced oil recovery (EOR) and storage project, which aims to minimise carbon footprint across the region and enrich the local economy. The CCS project was originally approved by the Canadian Environmental Assessment Agency (CEAA) in September 2010. Construction is expected begin at the end of 2018, with operations expected to commence Q4 2019. It is estimated to transport 800t per day (tpd) initially, increasing to 4,400tpd by the end of 2019. The ACTL project is categorised into three parts, namely carbon gathering and capture, the pipeline for CO2 transportation, and EOR and storage. Carbon dioxide will initially be captured from Agrium’s Redwater fertiliser plant and the North West Redwater (NWR) Partnership’s Sturgeon refinery. The $8.5bn Sturgeon refinery was completed in May 2018 and features ten large units, each designed to complete a unique function during the bitumen refining process. The CO2 recovered from the fertiliser plant’s emission streams will be put through inlet cooling, separation, compression, dehydration and refrigeration in order to produce liquefied CO2. At the NWR refinery, CO2 will be captured within the gasification hydrogen supply unit, which will use unconverted petroleum bottoms (asphaltene) as feedstock to create synthesis gas (syngas). Rectisol acid gas removal technology will be used to condition the syngas and produce more than 3,600tpd of pure CO2. The ACTL pipeline has been specifically designed to last for more than 100 years and will be made of electric resistance welded (ERW) carbon steel. It is set to be a Grade 448, Category II M18oC ERW pipe. A cathodic protection solution is anticipated to be installed as part of the pipeline’s integrity management system. Liquefied CO2 and syngas gathered from the sites will be pumped into the pipeline at a pressure of 17,926 kilopascals (kPag) and transported to the Clive Nisku and Leduc field reservoirs, which are owned and operated by Enhance Energy. The EOR fields are located at a depth of 6,000ft below ground. The project is estimated to capture and store more than one million tonnes (Mt) of CO2 a year once fully operational. The project is being funded by Wolf in collaboration with Canada Pension Plan Investment Board (CPPIB), which provided up to $305m. The ACTL project received a $63m financing package from the Government of Canada under the Federal EcoETI programme and the Federal Clean Energy Fund programme. A construction financing of $223m was granted under the Province of Alberta’s Carbon Capture and Storage Funding Act (2009). Enhance Energy plans to invest approximately $1bn of capital in the development of CO2 storage and EOR over the life of the ACTL. As per the agreement between Wolf and Enhance in August 2018, Enhance will own and operate the CO2 utilisation and sequestration portion of the ACTL project through its EOR operations, Wolf will construct, own, and operate the CO2 capture and pipeline transportation assets. SAW Engineering provided engineering services for the ACTL pipeline, while Worley conducted the environmental assessment works. BOSS Environmental is responsible for environmental planning for the project and CH2M Hill is expected to provide the required regulatory services. 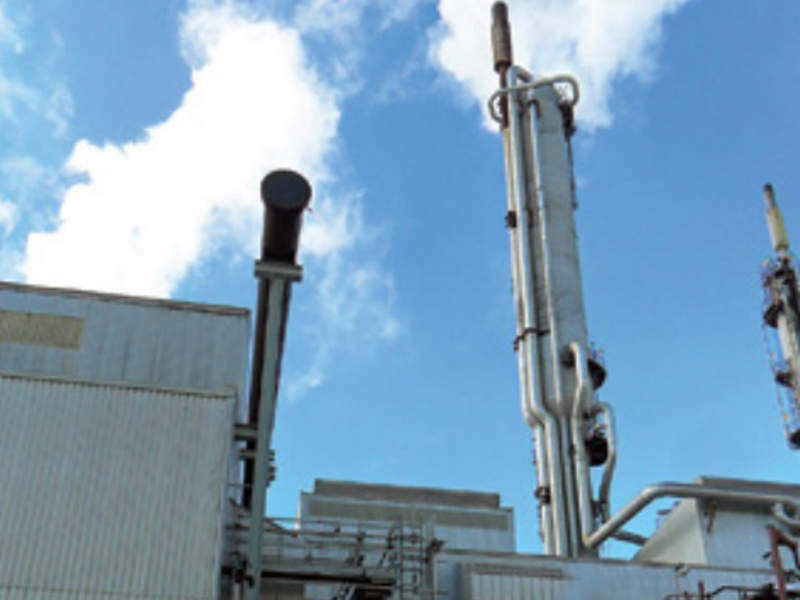 Startec was engaged to supply a refrigeration package to liquefy CO2 at the Redwater fertiliser plant, while Germany-based MAN Diesel & Turbo is supplying the CO2 compressor for the CO2 booster compression unit at the NWR Partnership refinery. KTI is responsible for the supply of valves, while Focus Corporation was engaged as official surveyor for the development. Alberta-based company Surface Search will conduct the geotechnical assessment works and LandSolutions is undertaking land acquisition process for the project. 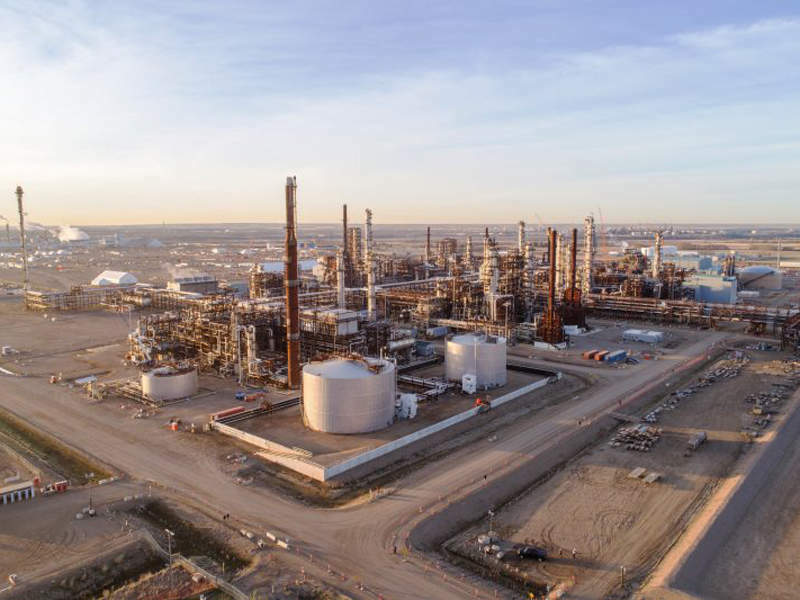 Fortis Alberta was engaged to construct the power line for the Agrium CO2 facility, while Coronado Gas Coop was contracted to supply a fuel gas pipeline and metering system. Opsco Manufacturing was commissioned to design and fabricate a water removal skid package, while Bilton Welding and Manufacturing was contracted to design and fabricate the wet CO2 inlet separator vessel for the ACTL. The ACTL project is anticipated to create more than 30,000 man years of direct and indirect employment during its construction and operational phases. It is also expected to offset the impact caused by the equivalent of approximately 2.6 million cars from Alberta’s roads. The CO2 stored in its reservoirs will enable the production of one billion barrels of light oil. Oil produced using this CO2 is slated to generate more than $15bn in royalties for Alberta.